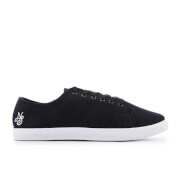 Women's low top trainers from Skechers. Crafted with breathable mesh uppers, the 'Go Walk 4' sneakers are lightweight and comfortable with a slip-on design. Set upon a 5GEN™ midsole with biometric design for enhanced support and stability, and fitted with Goga Max™ insoles for excellent shock absorption. The sole also features Goga Pillars® sensors for a more streamlined design. 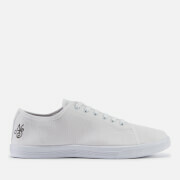 Complete with an 'S' logo to the heel and a bamboo lined footbed for increased odour control.